The annual FREETOUR.com awards honour the best free tour providers on the planet, based on FREETOUR.com users’ reviews and ratings. We’re talking to some of our 2018 awards winning free tour heroes in a weekly series to find out a little more about the people behind the tours, their cities, and the passion that has made them and their free tours award winners. In the second instalment of the series, we’re in Madrid with Ogo Tours, founded by Tatiana and Javier in 2013. 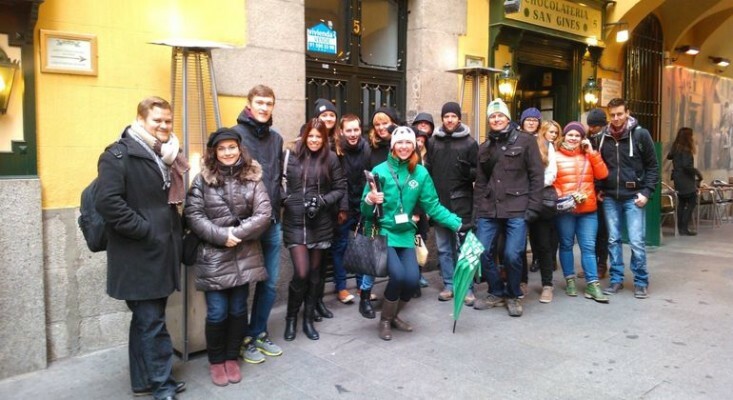 Ogo Tours operate two walking tours in Madrid, as well as private tour options, and it was their Madrid Free Walking Tour that was awarded among the top three best tours in both the Europe and Worldwide categories. We got the local low-down and a sneak peek behind the scenes. What stop do you like most on your tours? 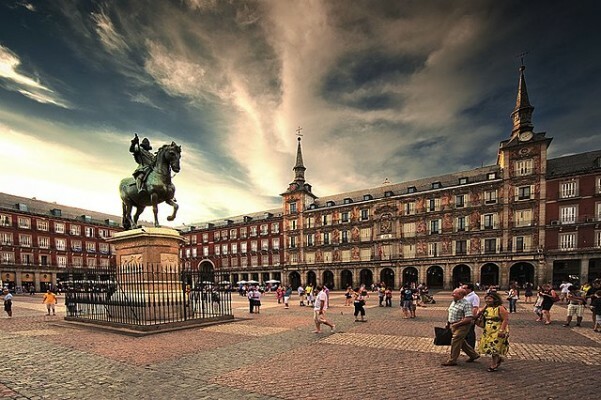 I think the most fascinating place we visit during our Free Walking Tour Madrid Old Town is Plaza Mayor, one of the masterpieces of Spanish Baroque. This square was the main neuralgic point of Madrid for centuries. Here, all kinds of public events were held - markets, executions, bullfights, Catholic masses, auto-da-fe by the Spanish Inquisition, and much more. If you visit Madrid, you cannot miss the wonderful Retiro Park, one of the most beautiful parks in Europe. This park covers over 125 hectares and includes more than 15,000 trees. There is also a nice lake where you can hire rowing boats. Other places that you cannot miss inside the park are the Crystal Palace and the fountain of the Fallen Angel, which is considered to be the only prominent sculpture dedicated to the devil. What is the character of Madrid, do you think? It may sound clichéd, but Madrid is a city of contrasts. Each area and district of the city has a different character. Puerta del Sol area is full of life 24 hours a day. Lavapies is a really multicultural place, Barrio Salamanca represents the most elegant and conservative of Madrid and, for example, Malasaña neighbourhood is the perfect place for hipsters. In other words, there is a Madrid for everyone and every taste. Three reasons to join your Free Tour? Booking a free tour with us saves your time. In 2,5 hour you will visit the main attractions and hidden gems. The guide will make you feel Madrid like a local: where to eat, useful tips, etc. Which local museum would you recommend? Without a doubt, I would choose the Prado Museum which is considered the best art gallery in the world. Prado Museum houses an incredible amount of works by leading Spanish and European painters: Francisco de Goya, Rembrandt, Tiziano, Velazquez, etc. If you like painting you can not miss this museum. What local Madrid tips do you have for visitors? When I'm traveling, food is one of the main points for me. For this reason, during the tour, we give some tips for eating in Madrid. 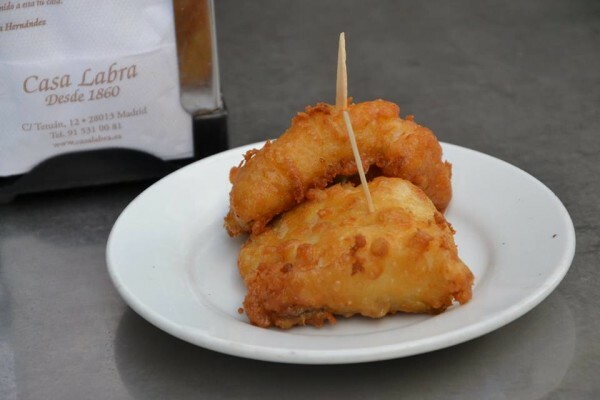 We recommend local hidden gems where to eat genuine tapas and traditional dishes. These local taverns and restaurants are really difficult to find if you’re not already familiar with the city. 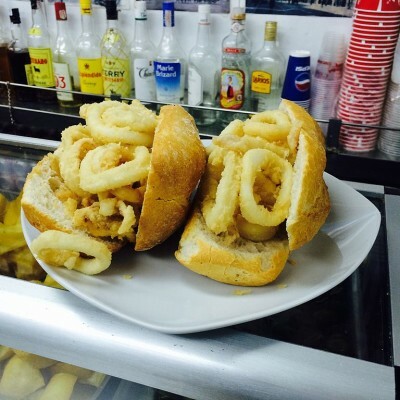 For example, You cannot leave Plaza Mayor without trying the famous "bocadillo de calamares"- calamari sandwich, which is the most famous fast-food in Madrid. The best places around the area are La Campana, La Ideal and Casa Rua. In those local bars the price of this huge sandwich is only 3€, meanwhile, in the touristy spots, it may cost over 9€. I recommend you to try this "bocadillo" with mayonnaise or lemon; You will not be disappointed! Also, if you are planning to visit Madrid, let me give you advice. Madrid is a wonderful city with a lot of attractions: museums, palaces, parks, incredible buildings, etc. However, I recommend that if you have time, you also discover the surroundings of Madrid. Just an hour's drive, there are wonderful places for a trip full of histories such as Toledo, Segovia or El Escorial. What do you love most about being a free tour provider? I am tour guide in Madrid for more than 5 years now, and I have to say that I keep learning every day. I love Spanish history and for me it is a real pleasure to share it with my clients. It is a great satisfaction when clients confess to having learned about the history of my country. It is also a job that allows me to give free rein to my communication skills. As if this were not enough, it allows me to meet people from different cultures and countries. It is just the perfect job for me! What makes your tour a FREETOUR.com awards winner? I sincerely believe that customers rate our tours positively because we offer authentically local experiences. We want our customers to feel the city like a genuine "madrileño". Another of our strengths is the quality of our guides. They are true professionals who love their job. This work requires a lot of preparation and effort. Being a tour guide is not achieved overnight. For this reason, all of our guides have extensive experience guiding in Madrid and work with us for years. Finally, another point that our clients appreciate is that our work does not end with the tour. After the tour many clients contact us via email or WhatsApp to ask questions like "when a certain museum is free" or "which area we recommend for nightlife", etc. In other words, we keep in touch throughout their stay in Madrid to answer their questions about the city. 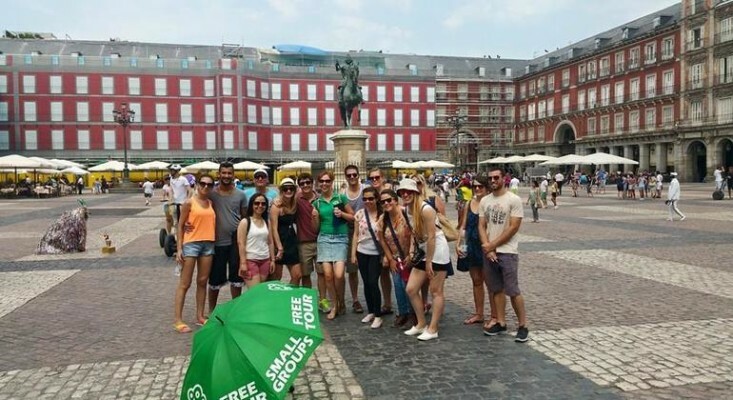 You can book your place on the award-winning OgoTours Madrid walking tours on FREETOUR.com without booking fees or charges and get instant confirmation of your booking. Next week we’ll be shining the spotlight on the excellent Zippy Tour Comuna13 in Medellin and getting insight into what life is like in this part of Colombia. Happy touring! NEXT WEEK’S FREE TOUR HEROES: Zippy Tour Comuna13 - Medellin, Colombia.